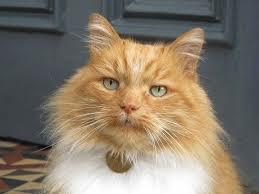 Hamish McHamish (1999 – 11 September 2014) was a ginger cat that lived in the University town of St Andrews, on the East Coast of Fife in Scotland. He came to national and international fame after the book entitled Hamish McHamish of St Andrews: Cool Cat About Town was published. Hamish built up a following on social media, with a dedicated Facebook page and Twitter account set up by fans. The Hamish Foundation (SCO45383) is a charitable organisation set up by 3 friends who have a love of St Andrews and who felt that Hamish was well loved by the towns people and visitors alike and that it would be suitable to raise funds in his name for the good of the town. The charity aims to raise money for projects St Andrews particularly focussed on young people. 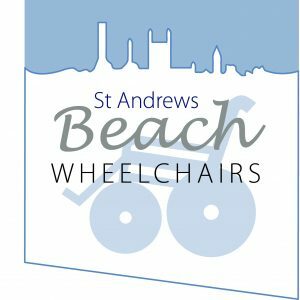 In 2018 we supported Tourism St Andrews in their campaign to raise funds for Beach Wheelchairs for the West Sands beach. This project has been hugely successful and we continue to support this project and other initiatives to continue to make the town more accessible.